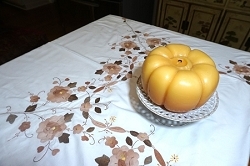 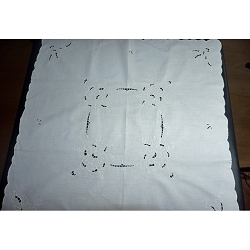 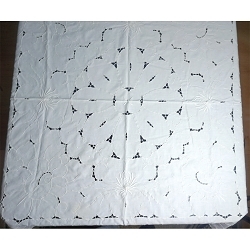 Very nice white damask vintage tablecloth is 60" x 90" and includes 5 dinner napkins. 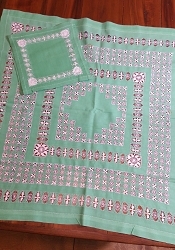 Originating in Damascus, Syria, damasks utilize special weaving techniques to produce patterns that appear to shimmer above their background cloth, even if patterns and their background are the same color (eg: white on white). 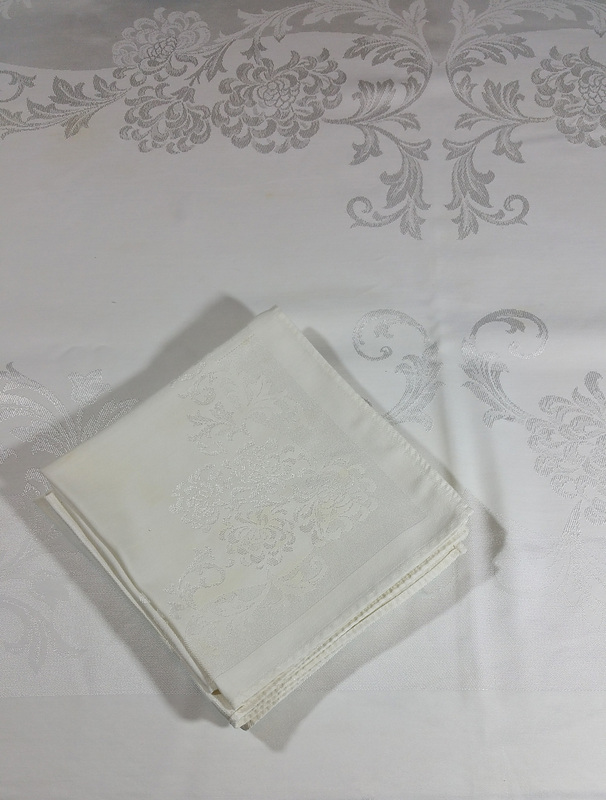 Irish linens, including damask tablecloths, have been an important part of Ireland’s economy since the 17th and 18th centuries.